Rotary International President Barry Rassin announced the theme for the 2018-2019 Rotary year in January – Be the Inspiration. My immediate response, was “I love it!” Typically, in Rotary we think, “what can you be for Rotary?” In other words - Service Above Self. I’d like to explore for a moment what happens when we flip that around - what can Rotary be for you? 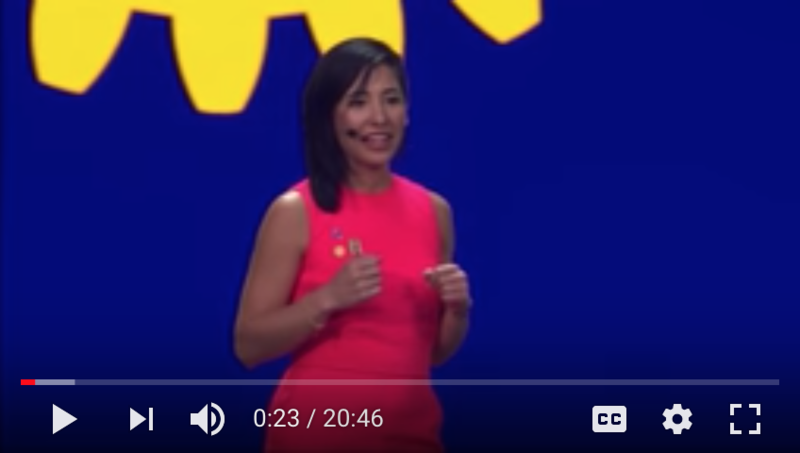 Before you think I’ve lost sight of the ideals of Rotary, let me explain. You joined Rotary for a particular reason – to serve, to make friends, or perhaps network for business. Each of those answers are right. What I’d like to ask you to explore is, what else can Rotary be for you? Where can Rotary take you? How can Rotary play a more significant and meaningful role in the story of your life? We all have ideas about who we are, what we stand for, and the person we are still becoming. What if you got adventurous in Rotary, to see beyond the image you have today of its purpose for you? you created a ripple effect by promoting education for young girls in Afghanistan. And because you helped educate them, they in turn educated others, and one of those “others”, created peace initiatives that are unimaginable today? 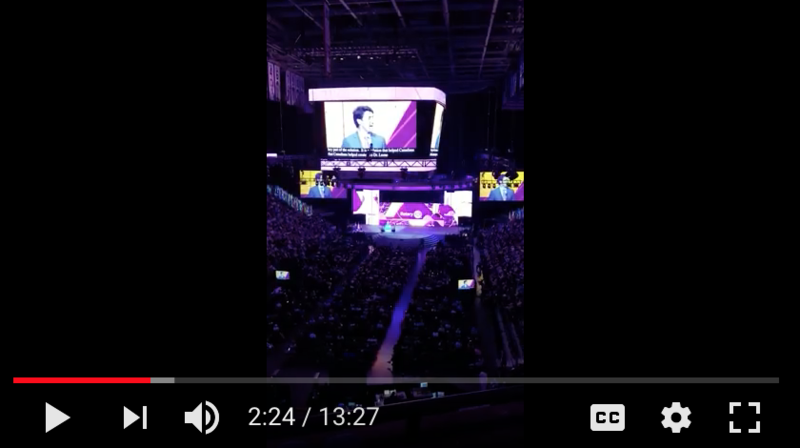 you addressed the root causes of societal issues in your community, such as mental health; to help combat addiction, depression, crime, homelessness, and more? you created a program in your local community, to teach young students the “soft skills” that will help them be successful leaders? What if, someone else was watching, and you inspired them to do good in the world? The world is watching, Rotarians, and the world needs more inspiration. Get curious, find something that stirs your soul, let your enthusiasm be infectious, and Be the Inspiration. As you view these clips, think about your clubs goals and plans for this New Year and incorporate some of their hopes and dreams into yours. I can truly say that through this year I have witnessed a level of leadership that really knows how to “Make a Difference” by “Riding for the Brand”. I thank you for what all of what you have given me - HOPE. Hope that our global future can be an opportunity for Peace and Prosperity for all. 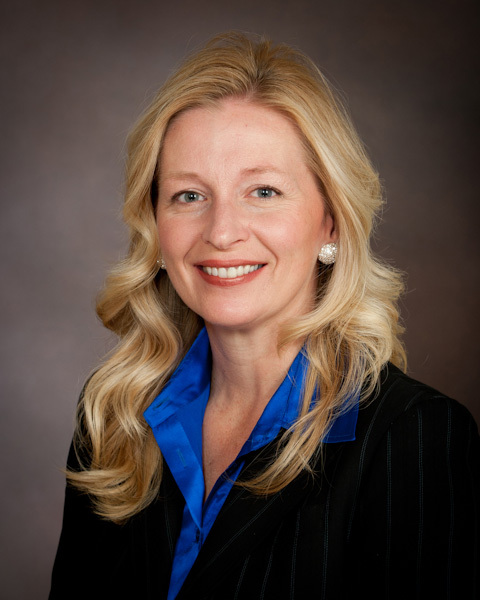 As the leadership of your district moves forward know that the line of Jennifer Deroin – Rich Kirkham – Ben Nelson is diverse, experienced, compassionate, and visionary. They truly fit the theme of “Be an Inspiration” that will move - ROTARY. I have points to give! What?Foundation recognition points are earned by donors to PolioPlus or Annual Fund of The Rotary Foundation, 1 point for each dollar contributed. I call them the “green stamps of Rotary”, but unlike the green stamps of a bygone era, they won’t buy you a toaster. 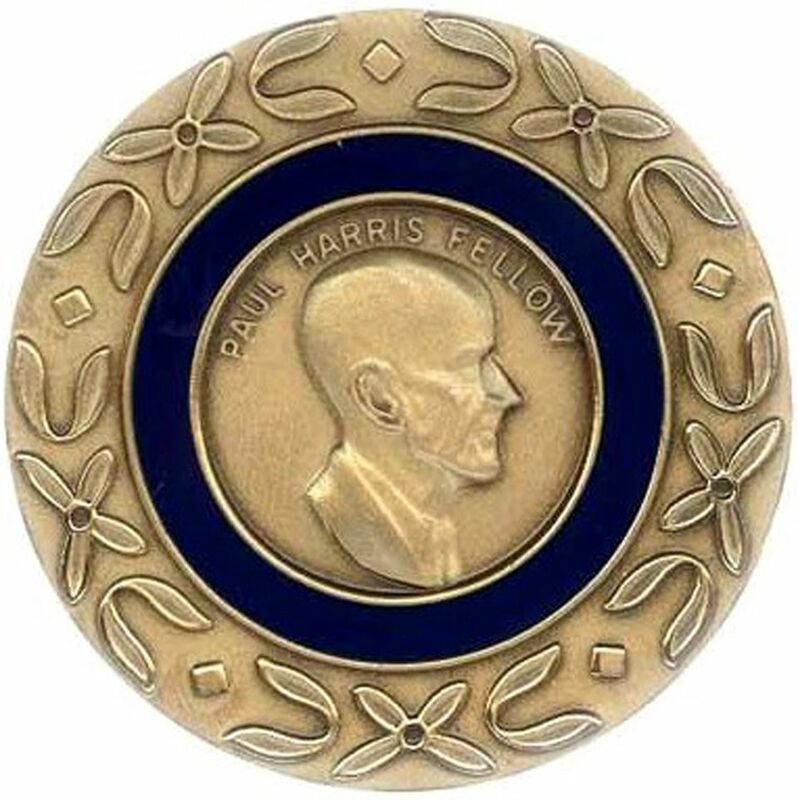 You CAN give them to another person to count toward his or her Paul Harris Fellow. So, if you are not yet a Paul Harris Fellow AND you have not participated in a similar district promotion AND you’ll sign up for Rotary Direct recurring giving to Annual Fund-SHARE at $10/month, $25/quarter or $100/year, the district will give YOU 250 points to count toward your Paul Harris Fellow. Annual Fund-SHARE is the source of the district block grant for local and small international projects; it is the source of global grant matching funds. Rotary Foundation grants enable Rotarians to change the world. Scroll down and click on “DONATE” again. Please email me once you’ve enrolled and provide your club name so I can transfer the points to you! Promotion only lasts until we run out of points. The Pollinators Celebration was held on June 23rd, where the group officially dedicated Pollinators Park. 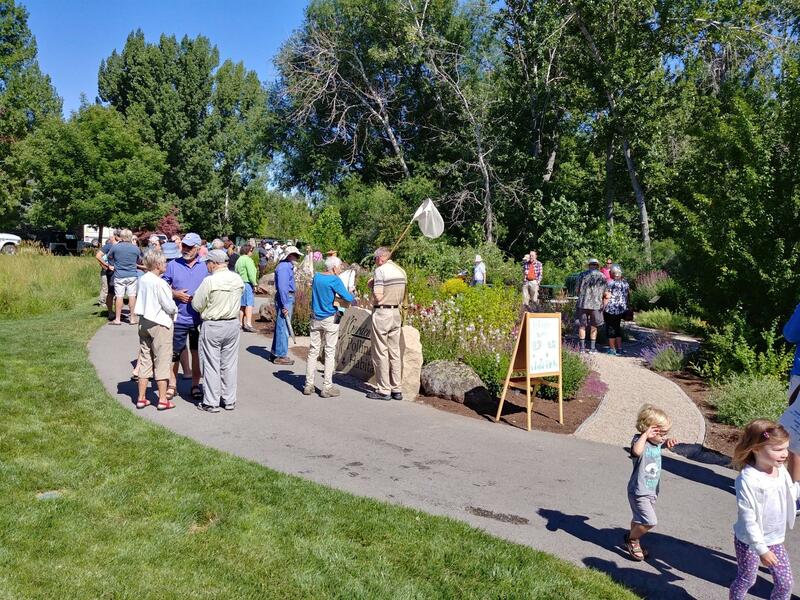 The dedication event was a celebration and included recognition of Boise Metro Rotary for their years of partnership in developing River Pointe Park and the specific donations to the Pollinators Garden. There was a dedication ceremony, refreshments, tours, and booths from US Fish & Wildlife, Bee City USA, the Garden City Gardeners Club, and much more. Garden City was the first official ‘Bee City USA’ city in Idaho. Since then, Mountain Home has also achieved this designation. Are you a grant manager or '18-'19 president who applied for a district grant? The committee has submitted the applications to The Rotary Foundation and should know the outcome mid-July. You will be notified of the status of your project and funding, so WATCH YOUR EMAIL. Thirty applications were drafted for more than $57,000 in funding requests, twenty-six of which were included in the application. One was withdrawn, another was a second submission but only one is allowed, and two more were un-submitted drafts. We have just $49,952 available for the block grant this program year. Projects must comply with the Mission of The Rotary Foundation, its Terms & Conditions and other district-specific criteria. Decisions to reduce funding projects are more based on compliance deficiencies than preference. While we want to approve every club application, eligibility requirements and deadlines matter. Members of the district grant subcommittee are DRFC Marianne Barker (Blue Lakes-Twin Falls), DG Jennifer Deroin (Nampa), DGN Rich Kirkham (Pocatello), Suzanne Rainville (McCall) and Dennis Duehren (Montpelier). 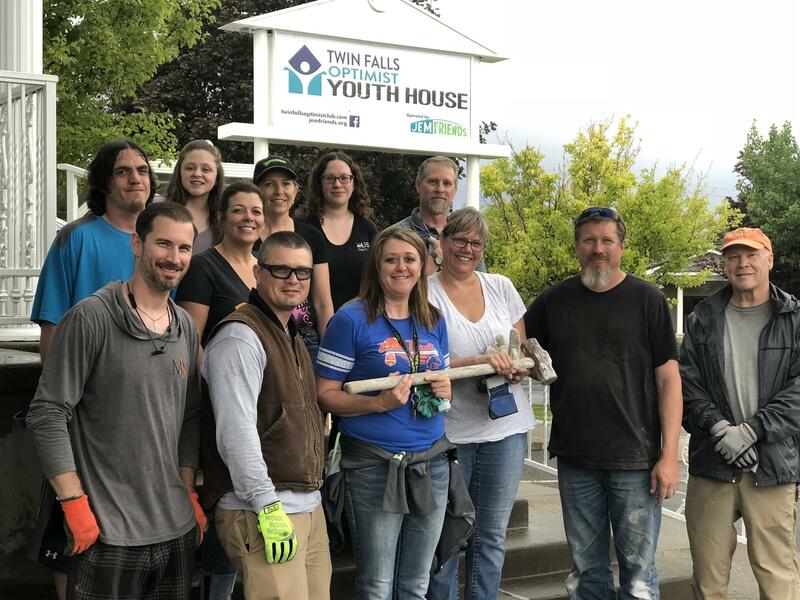 The Twin Falls Optimists are creating a home for the youth in their community that have aged out of the foster care system and no longer have a place to live. With the help from a County-owned home, the Optimists are completely gutting it in preparation for the re-model that will house both young women and men while teaching them essential life skills they often do not yet possess. The Twin Falls Rotary After Hours Club loved this idea and wanted to help in any way they could! They asked Twin Falls Optimist what could be done and they provided a long list of demolition projects needed before the remodel could begin. Twin Falls Rotary After Hours members jumped right in and tore out walls, old carpet, carpet stripping, blinds, heat registers, counters and sinks! We enjoyed doing our little bit to help the Optimist reach their goal with the girls housing section completed and moving in mid-August. 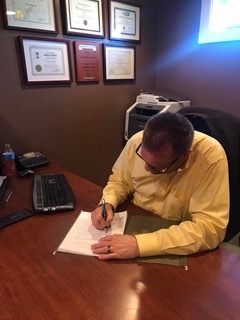 Kuna may not be a singing club, but they were definitely dancing as Rotary Club President Knute Kleven signed the official club application to Rotary International to be chartered. Thank you to members and charter members, everyone is so excited for the community! The club encourages new members to join and have fun making a difference in Kuna. Reach out today! 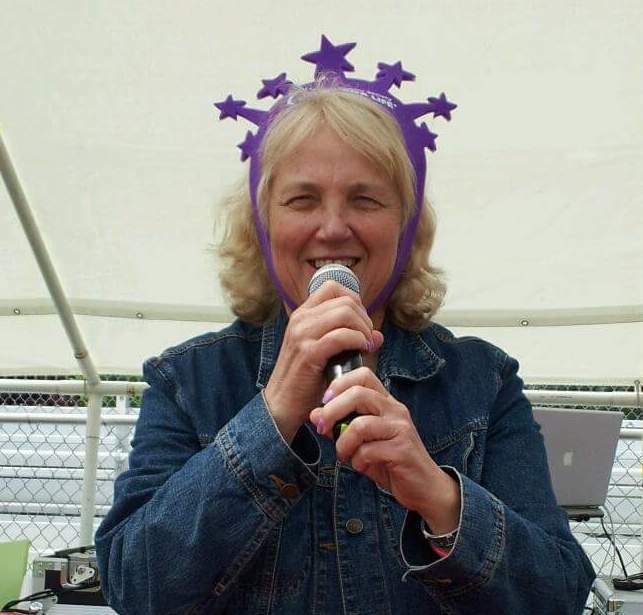 Who do you know in the Star/Middleton area that would be an amazing Rotarian? Invite them to the next Meet & Greet to find out about a new innovative club that is forming in that area called Latitude 43. We meet Thursday, July 12th at 6:00 pm at Helina Marie's Wine Bar - STAR - Hwy 44 and would love to have you! Put great people in charge of things and move out of their way. The year will go by quickly (honest). Emmett's Favorite is always our Youth Benefit Dinner and Auction. 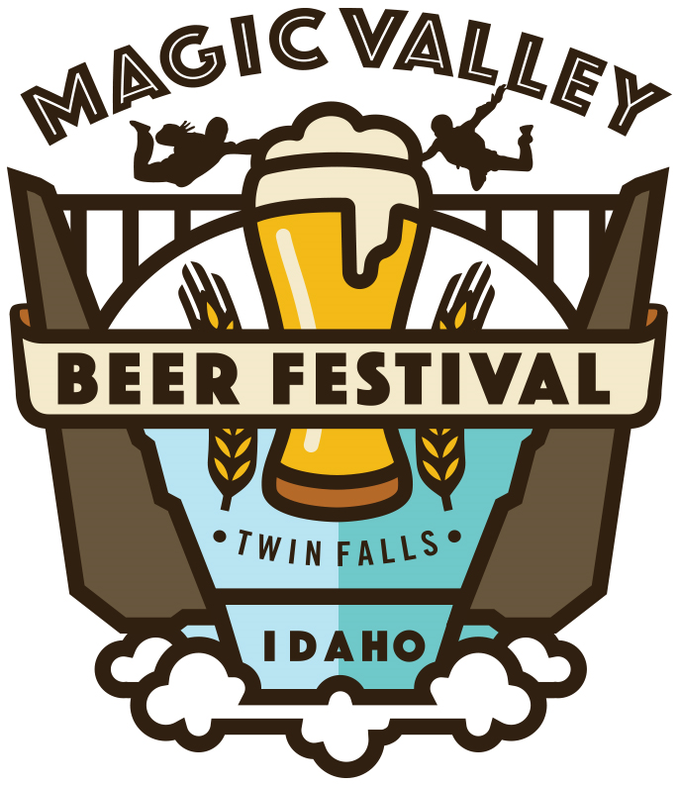 This is a year-round project (minus the month of June) that we work together to plan, get sponsors, solicit donations and put it all together for the first Saturday in May. The dinner is catered by one of our own. It’s a ton of work but also a ton of fun. RYLA is one of the premium programs of D5400 but in the past, moving and storing all that RYLA equipment has been a bit of a problem for our District RYLA team. RYLA has a new trailer that will accommodate all of the things they need to teach RYLA Campers the great lessons of the Rotary Youth Leadership Awards Program. 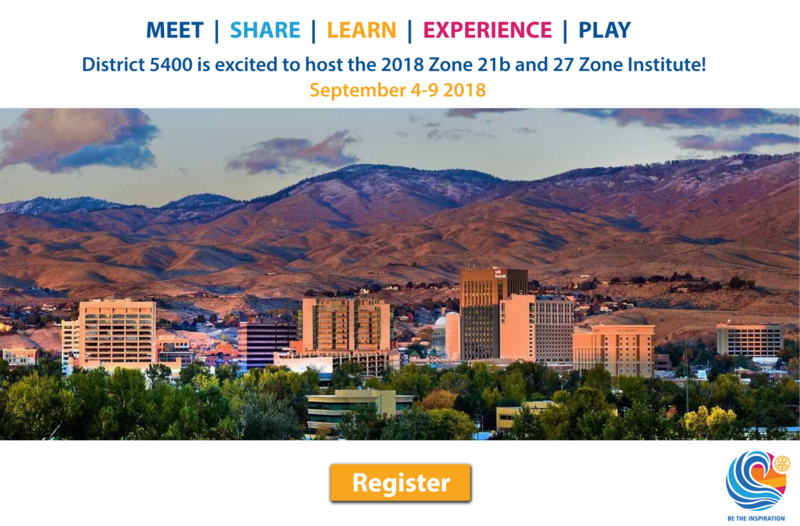 A big shout out to District Governor Terry Jones (Emmett Club), Todd Fischer chairman (Boise Club), Victoria and Jason Byrd (Pocatello Club), Mina and Saeid Rezaii (Pocatello Club). 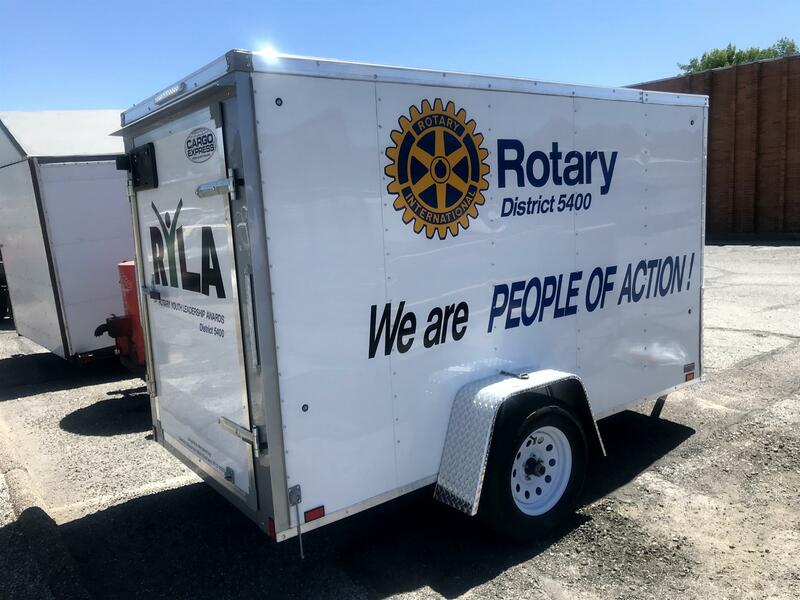 Trailer signage and lettering was donated by District Governor Elect Rich Kirkham 2019-2020 of the Pocatello Rotary Club. What a great year it has been for our district! There is energy and excitement surrounding our Rotary clubs. A renewed commitment to membership and vitality will allow us to “Be the Inspiration” throughout our communities and the world. Over 50% of our clubs ended the year with positive or stayed even with our July 1, 2017 start numbers. A special shout-out to Montpelier, Eagle-Garden City and Salmon who finished the year at over 20% growth! Well done. We are moving in the right direction and together we can keep the positive momentum going 2018-2019. Check out our final numbers for the year here. 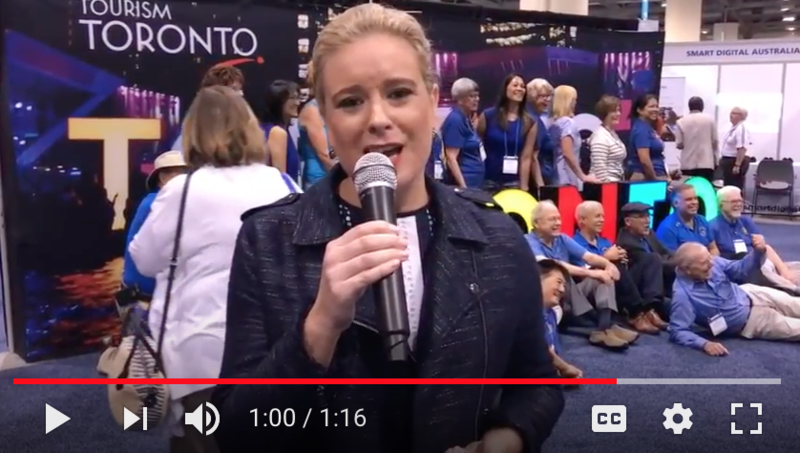 If your club would like to schedule a presentation on membership, feel free to contact District Membership Chair, Marie Baker Together, we can continue to create vibrant clubs that create lasting impact. 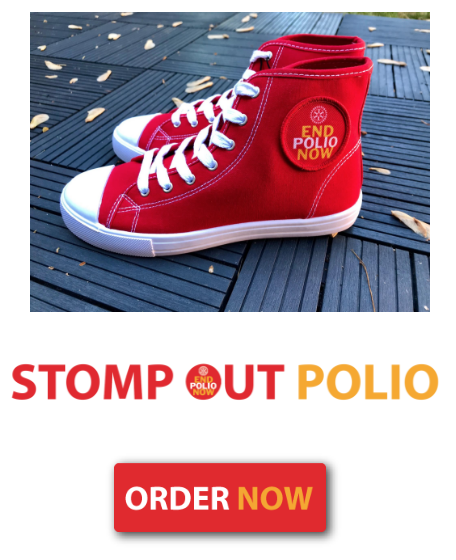 What is that Polio Eradication Picture? It's a picture of a child being protected from the paralysis of Polio in Venezuela. A case of Acute Flaccid Paralysis (AFP) was widely reported in the media this week. The 34-month old child had symptoms starting on April 29 in an under-immunized area of the Delta Amacura State. Polio is just one of the diseases which can cause these symptoms and this case has not been confirmed as being caused by Polio. Stay tuned as the lab results are expected to be complete by next week. Today, we start over on our three-year count since the report of the most recent Wild Polio case. 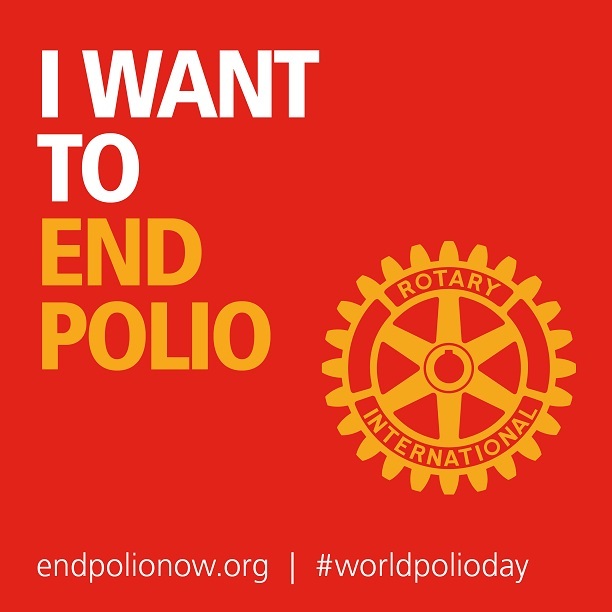 Rotary is committed to raise $50 Million (including Rotarian, public, and DDF donations) to be matched by $100 mil from the Gates Foundation - for each of the next three years - for a total of $450 million for the Global Polio Eradication effort! Kenya, SYRIA, SOMALIA, Nigeria & DRC - No new Vaccine Derived Polio cases were reported in Nigeria this week (Jigawa State). None have been reported in Kenya or Somalia but 4 Vaccine derived Polio Virus samples were confirmed in Somalia between 3/8/18 & 3/22/18. No new cases of circulating vaccine-derived Poliovirus type 2 (cVDPV2) were reported this week in Syria (last case 9/20/17) leaving the total number of Syrian cases at 74 for 2017 and 0 for 2018. No new cases were reported in DRC leaving their 2018 total at 4 (22 in 2017). Pakistan: One new Polio case reported this week. Three Polio cases reported in 2018 - the most recent case was from the Dukki, Balochistan Province with an onset of paralysis on 5/18/18. Eight cases reported in 2017. No new Polio-Positive Environmental Samples were reported this week. A Sub-National immunization campaign reached 20 million children in May. Afghanistan: No new Polio cases reported this week. Eight Polio cases reported in 2018 - the most recent case was from the Kandahar province with the onset of paralysis on 04/27/18. Fourteen cases reported in 2017. A sub-national vaccination campaign reached 9.6 million children in May. No new Polio-Positive Environmental Samples were reported this week in Afghanistan (Kunar Province). Nigeria: No new Wild Polio cases have been reported in 2017 or 2018. The most recent Polio case was reported on 8/20/16. Nigeria has once again gone 1-3/4 years without a Wild Polio case.